Ever notice how awful hamantashen are, no matter whether they are commercial or homemade? Well, not these babies. 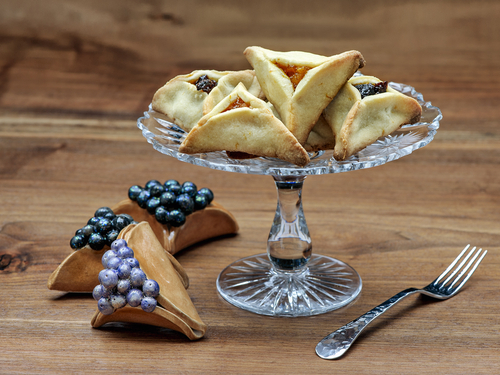 These traditional Jewish cookies are thin-crusted, crisp, and delicious. They’re also a lot of work, but worth it!! Make the dough and filling and chill at least one day before you make these traditional cookies. Note: Can freeze unbaked hamantashen on cookie sheets in single layers, then pack into freezer boxes well ahead of time, to be baked later, straight from the freezer.